Comments: This is a popular wildflower that grows over much of the South. 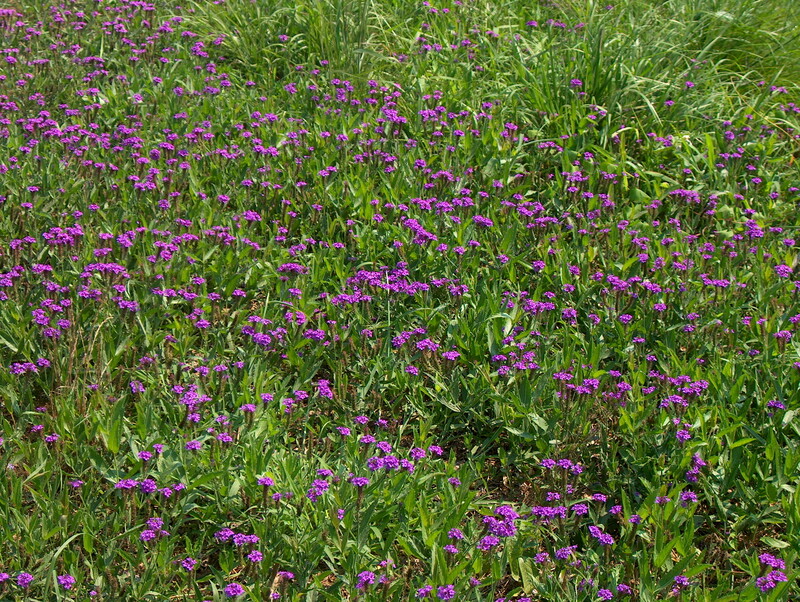 This native verbena can tolerate a wide range of growing conditions, especially dry, infertile soils and disturbed sites where the topsoil has been interrupted. Occasional clipping will encourage a second crop of blooms.